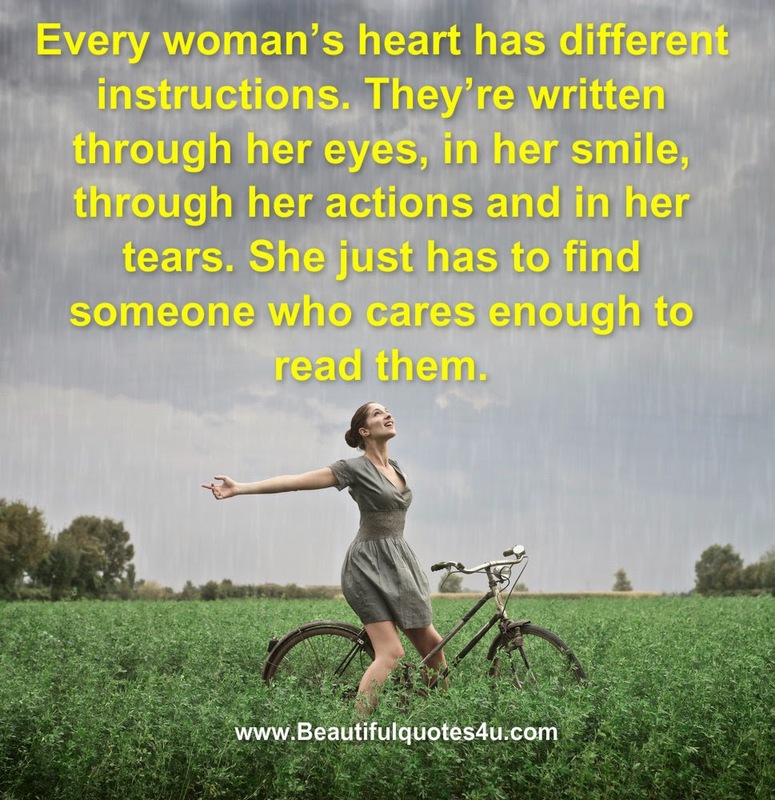 google-site-verification: google8d8438b214143f71.html Beautiful Quotes: Every woman’s heart has different instructions. Every woman’s heart has different instructions. Every woman’s heart has different instructions. They’re written through her eyes, in her smile, through her actions and in her tears. She just has to find someone who cares enough to read them.